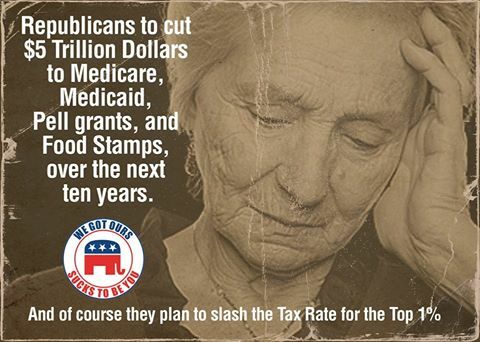 The GOP Budget completely rejects tax increases while imposing immense cuts in spending, particularly for the poor. It shifts almost the entire burden of balancing the budget onto the backs of the least able to pay, while completely disregarding the negative impacts of those transfers. Additionally, the budget doesn’t take into account separate and pending pieces of legislation by the GOP to eliminate the estate tax or reduce corporate tax rates. While cutting $5.5 trillion in domestic spending, the GOP budget increases military spending by over $150 billion (assuming that no new war erupts over the next decade). It would voucherize Medicare, transforming the program from a defined-benefits program to a coupon that could be used to buy insurance on the open market. As the elderly are very expensive to ensure, this would result in them having to pick up the difference between their voucher and the cost of insurance. 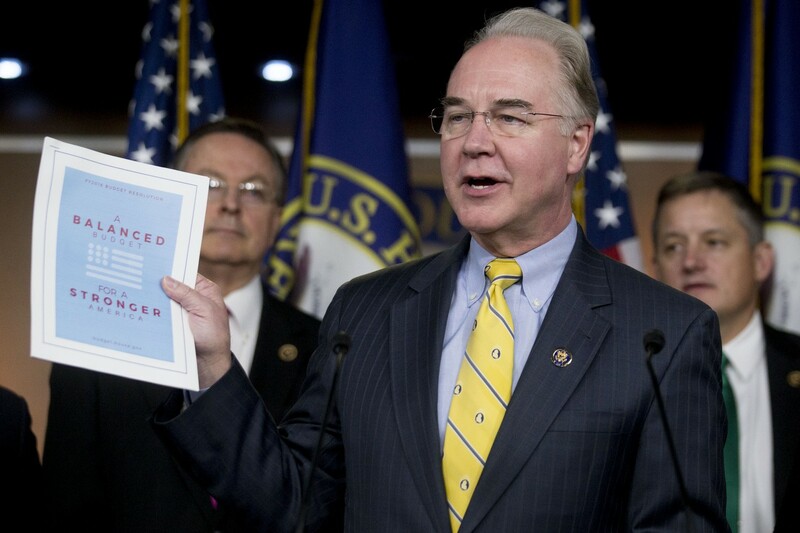 Just to make matters worse, the GOP budget would repeal ObamaCare, thus eliminating the pre-existing condition protections and cost controls present in the reform, and virtually guaranteeing that insurance companies would simply refuse to cover poor and high-risk elderly Americans. This combination would be catastrophic and we would have elderly and sick Americans dying in the streets while waiting for care that they will never get. It would transform SNAP, Medicaid and several other social welfare programs into block grants for the states. These would pay less to recipients than the current system, particularly if the economy takes a hit and the block grants are not made reactive. Additionally, there is a long history of right wing states using budgeting tricks to shift block grant funds into general funds, allowing them to pay off massive tax cuts for the rich by filling in the gap with money designated for the poor and vulnerable. The GOP budget would decimate regulatory agencies, particularly the EPA, while eliminating the Dodd Frank reforms and defunding research into climate change. To add insult to injury, the GOP claims that these regulatory cuts will dramatically increase revenue. Disregarding the inequality and reckless austerity that would come from implementing the GOP budget, the numbers for the plan simply don’t add up in reality. There are numerous areas of the budget that are based on vague or non-factual assertions of savings or potential growth. First, in order to “balance” the budget, the plan uses something called “dynamic scoring” to assert that tax reform generates growth, which increases revenue. 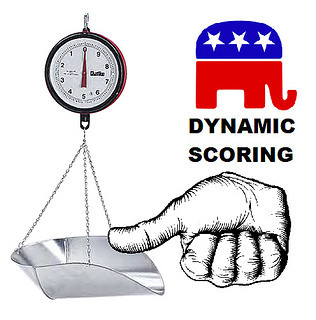 Put simply, dynamic scoring is nonsense designed specifically to justify tax cuts on the rich. Assuming that tax cuts for the rich will generate growth is absurd and the vast preponderance of the evidence shows that such cuts do not lead to any sustained increase in revenue (case in point: the Bush tax cuts). If the government lets the rich and corporations keep more of their money, they will simply invest most of it elsewhere (where growth rates are higher and labor in less expensive) and we will end up picking up the tab. Second, the GOP plan assumes in several cases that it is possible to keep the benefits of an economic policy after repealing and defunding it—in effect, they propose a plan that is predicated upon gaining billions of dollars in benefits from program that are never paid for. For example, the GOP budget would eliminate Obamacare, but it relies on billions of dollars of savings, increased coverage benefits, and tax increases from Obamacare in order to remain balanced. Third, the GOP plan makes unexplained assertions that “regulatory reform” (read: cuts) will produce immense amounts of new revenue by growing the economy. In reality, regulatory cuts simply allow big pollution to offload the costs of production onto the public, while facilitating big banks in their attempts to extract as much money from the economy as possible, regardless of whether they destabilize the entire world economy. Even if one accepts the assertion that regulatory cuts will produce revenue, the downsides are still not accounted for in the budget, and the best-case scenario is a minor increase in the federal revenue, coupled with increased health problems and upward income redistribution for the rest of us (as opposed to a full financial crash and rivers becoming explosive again). Fourth, the GOP makes no mention of the economic contraction that would come from the draconian austerity that they propose. They propose cuts to vital social programs that not only help families survive, but also help economies run. Social programs increase the buying power of the American public and cutting billions of dollars from these aid programs would inevitably slow growth, if not cripple entire regions of vulnerable people (ex. the rural south or the urban rust belt, where social programs make up the largest percentages of individual buying power). 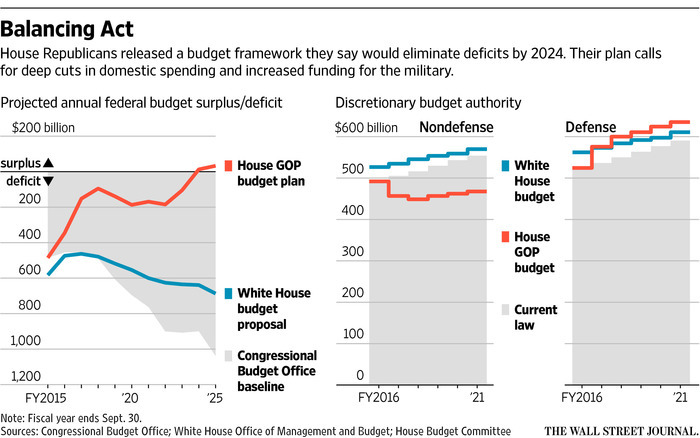 At the end of the day, the math used by the GOP to call their budget “balanced” is skewed and any implementation of their plan in real life would lead to a multi-billion dollar budget shortfall, if not a double-dip recession. Their plan is delusional and indicative that they either have no idea what they are doing or that they are deathly afraid of their base and have been reduced to doing little more than throwing out red meat (likely some combination of both). The GOP deserves absolutely no credibility for this farce of a budget, yet I fear that they ae irrational enough to push our nation to the brink again. If the media doesn’t immediately embarrass the GOP and force them to back down during the impending fight with Obama over this situation, we could easily be facing another budget crisis that leads to a financial downgrade. Reblogged this on 18 & Counting.